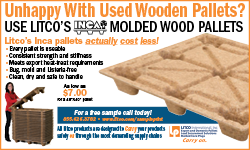 The corrugated plastic sleeve pack, also known as the pallet pack, is widely deployed in Europe, now making inroads in North America. 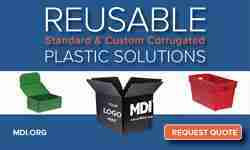 It provides a flexible, lower cost approach to reusable packaging than rigid intermediate bulk containers, while providing a very attractive alternative to expendable packaging in many applications. 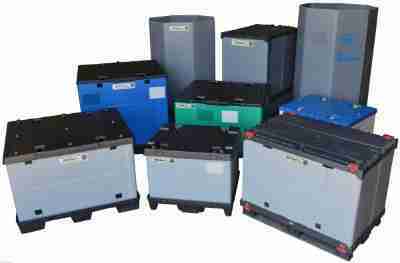 A sleeve pack can be described as a unit load shipping system utilized to support, store, protect, transport and merchandise unit loads of goods or materials, including a pallet base, a top lid, as well as a foldable or two piece sleeve. Typically the pallet and top lid are plastic. The sleeve can be either corrugated cardboard or plastic, in various thicknesses, depending upon the demands of the application. 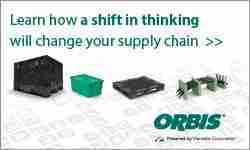 In spite of being widely deployed in Europe, vendors say that sleeve pack shipping systems remain an underutilized opportunity on the North American material handling scene, with its benefits not yet fully communicated. The predecessor to the sleeve pack was the cardboard gaylord on a wood pallet. With the introduction of the solid deck plastic pallet, the bottom cardboard was no longer required, opening up the possibility of a sleeve – at first corrugated paper, and then corrugated plastic. The reusable sleeve pack competes successfully with single trip gaylord and pallet systems in closed loops, as well as with plastic intermediate bulk containers for loads in the 600 to 700-pound range. Aside from light weight and durability, other benefits include ease of customization and operator convenience. Because it is typically used with thermoformed pallets versus injection molded pallets, it can be more quickly prototyped. And increasingly, as the need for speed increases, reusable sleeve packs are being designed for ease and speed of assembly and disassembly. Also, the reusable sleeve pack eliminates single trip packaging waste and is fully recyclable at the end of its useful life. Sleeve pack vendors provide a range of options, such as drop doors, bottom doors, different locking and latching mechanisms, customized internal dunnage, graphics, colors, as well as sleeve material and thickness choices.